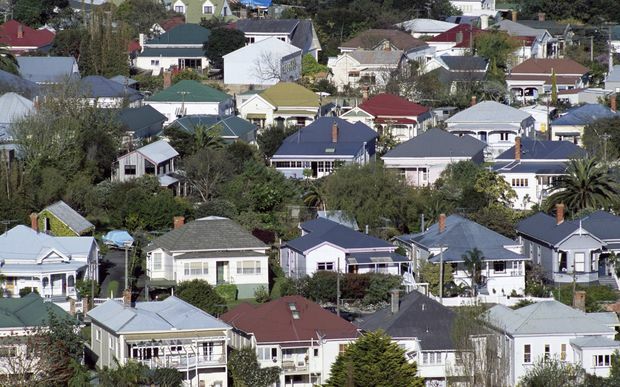 Back in October 2015, the IRD introduced the bright-line test for taxing the sales of residential properties. While the concept of taxing residential properties sold within two years of acquisition is straightforward, in reality there are often a number of factors to consider. Here we provide some examples to illustrate the bright-line test in practice. Jeff wanted to invest in property by purchasing a unit to rent. He entered an agreement to purchase a 2-bedroom brick and tile unit in New Lynn on 20th September 2015, and became the registered owner of the unit on 10th October 2015 when the sale was completed. Eighteen months later, Jeff decided to sell the brick and tile unit to finance a start-up business. The sale and purchase agreement was signed on 25th April 2017, and settlement was four weeks later on 25th May 2017. Was the sale of Jeff’s unit subject to income tax under the bright-line test? Answer: The bright-line test applies to residential properties where an agreement for sale and purchase is entered into on or after 1st October 2015. In this example, Jeff entered an agreement for purchase of the unit on 20th September 2015, ten days before the bright-line test came into effect. Therefore the sale of the unit was not subject to income tax. Amanda is a qualified beauty therapist with two school-aged children. She purchased a three-bedroom property in Te Atatu Peninsula on 15th January 2016, and immediately converted one of the bedrooms into a treatment room for providing beauty treatments to her customers. Amanda worked full-time on her home-based business. The converted treatment room was approximately 20% of the total size of the property. In July 2017 Amanda decided to sell her Te Atatu Peninsula home to move to Titirangi, and the property sold quickly within three weeks of advertising. Was Amanda’s property subject to income tax under the bright-line test? Answer: The bright-line test does not apply to a person’s main home. In this case, Amanda’s homebased beauty business only took up 20% of the property’s size and therefore the house was not deemed to be predominantly used for business. The remaining 80% of the property’s size was her main home dwelling, and subsequently not subject to income tax under the bright-line test. Alice and Dave always wanted a life-style block. When living in Waimauku, they jumped at the chance to purchase two hectares of land in South Head in June 2016 from an angora goat farmer. They decided to continue living in their Waimauku home during the week as it was closer to work, while spending weekends at the South Head property enjoying the rural outlook and deciding what do to with the land. Thirteen months later in July 2017, Alice and Dave sold their lifestyle block to a neighbour after realising they were happier staying put in Waimauku. Was the South Head lifestyle block subject to income tax under the bright-line test? Answer: One of the exemptions to the bright-line test is farmland, providing it is used in, or capable of being used in, a farming or agricultural business. In this example, Alice and Dave were not actively using the two-hectare South Head property for farming or agriculture. However, the land was capable of being used as farmland, as evidenced by the angora goat farmer who sold it to Alice and Dave. The lifestyle block was therefore not classed as residential land and was exempt from the bright-line test. Please contact us if you would like to discuss any aspects of the bright-line test and how it may apply to your particular circumstances.